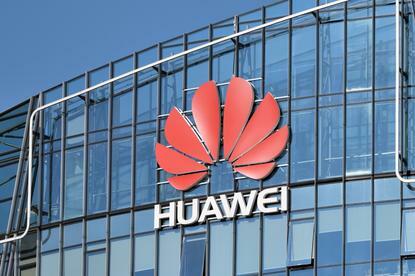 Huawei, the world's biggest producer of telecoms equipment, faces intense scrutiny in the West over its relationship with the Chinese government and allegations of enabling state espionage, with the United States calling for its allies not to use its technology. "We don't favor a complete ban. It's not that simple," one of the sources told Reuters on Monday after a Financial Times report on Sunday said that Britain had decided it could mitigate the risks of using Huawei equipment in 5G networks. The FT cited two sources familiar with what it said was a conclusion by the government's National Cyber Security Council (NCSC), which last year said technical and supply-chain issues with Huawei's equipment had exposed national telecom networks to new security risks. Huawei had no immediate comment. Any decision to allow Huawei to participate in building next-generation 5G networks would be closely watched by other nations, because of Britain's membership of the Five Eyes intelligence-sharing group with the United States. Britain is an important market for Huawei and last month Vodafone, the world's second-largest mobile operator, said it was "pausing" the deployment of its equipment in core networks until Western governments give the Chinese firm full security clearance. Other operators in Europe, including Britain's BT and France's Orange have already removed Huawei's equipment or taken steps to limit its future use. "As was made clear in July's HCSEC oversight board, the NCSC has concerns around Huawei's engineering and security capabilities. We have set out the improvements we expect the company to make, an NCSC spokeswoman said on Monday. People with knowledge of the matter said the next NCSC report on Huawei's position in Britain will criticize its slow response to issues raised in last year's report and detail tense relations with British officials. Huawei has set up security labs in Britain and Germany aimed at building confidence that its equipment does not contain "back doors" for Chinese intelligence services. Younger also told journalists in Munich that it was not desirable that "any piece of significant national infrastructure is provided from a monopoly supplier".